From adrenaline-fueled rides to animal magic, we explore the very best theme parks in Southeast Asia to visit in 2019! If you’re looking for the top amusement parks in Southeast Asia, then you’ve come to the right place! There is something special about spending the day in a fantasy world – it brings out the inner child in all of us! Whether it be meeting famous characters from the world of film and TV, riding hair-raising rollercoasters or spending time among wild animals, theme parks are as diverse as they are exciting! From wet and wild water worlds to adrenaline-fueled rides, we break down the best theme parks in Southeast Asia to visit in 2019. The perfect blend between theme park and movie convention, Universal Studios offers 24 enthralling rides, spectacular live shows, exciting meet-and-greets and lively street performances. Laid out over seven themed zones, the park is perfect for the whole family, with entertainment for both the kids and the adults, all in one place. Meet characters from your favourite Universal shows, including Sesame Street, and ride the world’s tallest duelling rollercoaster, Battlestar Galactica: Human vs. Cylon. Located on Sentosa Island, Universal Studios is the first Hollywood movie-themed park in Southeastern Asia. Top attractions include a replica of the Hollywood Walk of Fame, WaterWorld and the Shrek 4-D Adventure at Far Far Away cinematic experience. Colourful, fun and covering almost 50 acres, this outdoor adventure world is by far one of the top amusement parks on the whole continent. Just like the recently announced new theme park in Southeast Asia, Amazone Waterpark is dedicated to your favourite characters from Cartoon Network, the number one kids’ channel in the Asia Pacific. Cartoon Network Amazone Waterpark will be one of the best theme parks in Southeast Asia to visit in 2019 since it is the world’s first and only Cartoon Network-themed water park (for now!). Known as one of the best water parks in Asia, Amazone features 10 Cartoon-themed zones, with 25 diverse rides, a Surf Area and 22 live daily shows. Here, you can enjoy wave machines, slides, flumes and pools, shop for merchandise at the CN store, head to FoodVille for some amazing grub or take a break at SpaGo, where pampering massages can be enjoyed. Located in the seaside town of Bangsaray, Thailand, the resort is a must for water babies, families and those who are children at heart! As one of the top amusement parks in Southeast Asia, LEGOLAND is Malaysia’s first international theme park – the perfect destination for the whole family! If you’re a fan of those colourful interlocking bricks then immerse yourself in a land dedicated to LEGO! Located in Johor Bahru, this huge entertainment resort offers incredible LEGO-inspired fun on 76 acres of land – that’s the size of 50 football pitches! Witness a to-scale LEGO Angkor Wat, head to the Build & Test centre to create your own shapes or visit the LEGO stage to watch your favourite characters come to life. The park is also home to the world’s first virtual reality LEGO rollercaoster, as well as NINJAGO, the most advanced 4D ride in Asia! Plus with a LEGO-themed water park and SEALIFE Malaysia all under one roof, you can make the most of your visit. Open since 1998, Phuket FantaSea is one of the most unique theme parks in the world. The cultural park offers visitors an insight into Thailand’s diverse heritage, through a vibrant theatrical show, themed buffet restaurant and an authentic carnival shopping street. Covering 140 acres, here you can witness world-class acrobatics, pyrotechnics and aerial performances from over 400 dancers, 44 elephants and a pack of tigers! Carnival Village offers games and shopping while the huge on-site buffet restaurant is the best place to try fantastic regional dishes. The park’s main event, however, is its live theatrical show, inspired by the likes seen in Las Vegas. Incredible performances and magical special effects make this show a fun-filled treat for the entire family – sealing FantaSea as one of the best theme parks in Southeast Asia to visit in 2019. Make the most of your trip to Phuket by staying in one of our truly memorable villas or apartments. If you’ve ever dreamed of getting up close and personal with some of the coolest animals on the planet, then add Bali Safari and Marine Park to your list. Definitely one of the best theme parks in Southeast Asia to visit in 2019, this adventure zoo is home to over a thousand furry inhabitants. Witness over 100 rare and endangered animals, including Komodo Dragons and Orangutans, all carefully protected by this wildlife conservation park. Who said that theme parks always have to involve rollercoasters? Here, you can get your heart racing from the back of a Jeep, as you travel through the park’s 99 acres of land to witness leopards, zebras, lions and rhinos. Those feeling more adventurous can enjoy incredible elephant safaris, riding on the backs of these magnificent creatures. Plus with nighttime safaris, close encounters and Breakfast with the Lions experiences, you’re sure to find an activity here to get your blood pumping. 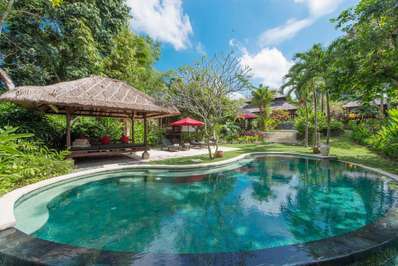 Looking for somewhere to stay during your Balinese break? Take a look at our range of luxurious hand-selected apartments and villas to top off your trip. By the way, we all can´t wait for the opening of the Cartoon Network Themed Park in Bali. 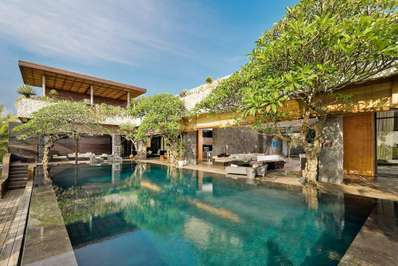 It has been announced that park is set to open in 2020 and will be located on the highly popular MAJ Nusa Dua complex, a first-class tourism destination in one of Bali’s most visited resorts. Open since 1980, Siam Park City is the oldest and largest waterpark in Southeastern Asia. With various aquatic zone, including the Si-Am Lagoon and the world’s largest Wave Pool (certified by Guinness World Records), this outdoor amusement park has everything you need for a fun day in the sun. Not just for water babies, Siam Park City also offers over 30 thrilling rides, from rollercoasters to an ancient carousel, making it suitable for visitors of all ages. The on-site Spa Club is the perfect place for down time, while the blood-pumping Vortex and Boomerang rides are there for all your adrenaline needs! The park’s giant Super Spiral water slide, reaching 20 metres high and seemingly stretching on forever, seals Siam Park City as one of the top amusement parks in Southeast Asia! Divided into three zones, Trans Studio Bandung is one of the world’s largest indoor theme parks. With rides, water flumes and immersive experiences, this top amusement park in Southeast Asia is also one of the most exciting. Head to Studio Central and feel like you’ve arrived in the heart of Hollywood; take a stroll along the Walk of Fame and meet your favorite celebrities, including Marilyn Monroe. In the Lost City, you will be transported to another realm to work as a team to rescue the Trans gang from peril. Finally, experience Magic Corner, where immersive rides and live performances will leave you feeling totally in awe! This magic-fulled day out should definitely make your list of fun things to do in Indonesia in 2019! Looking for more ways to get an adrenaline rush? Check out our guide to the top adventure activities in Bali.